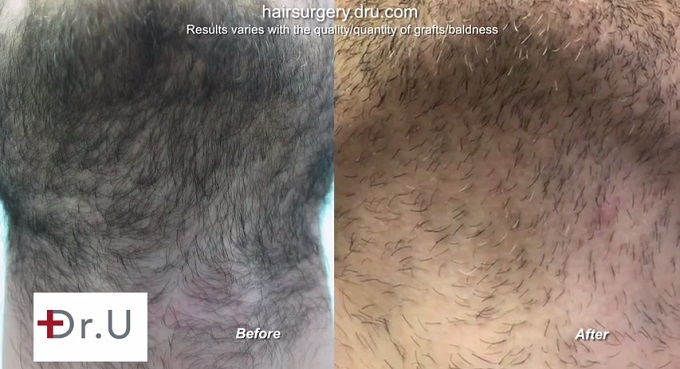 A few years ago, this patient had undergone a body hair to head surgery performed by Dr. Umar. 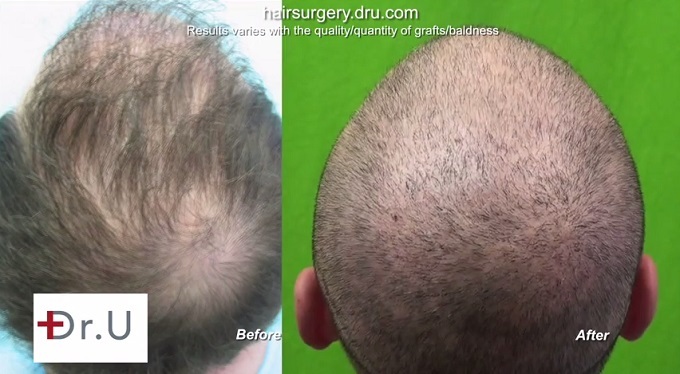 6300 grafts were removed. This included scalp, nape and beard hair follicles. The goals for this surgery were to repair the errors made by a strip procedure performed at a different clinic. 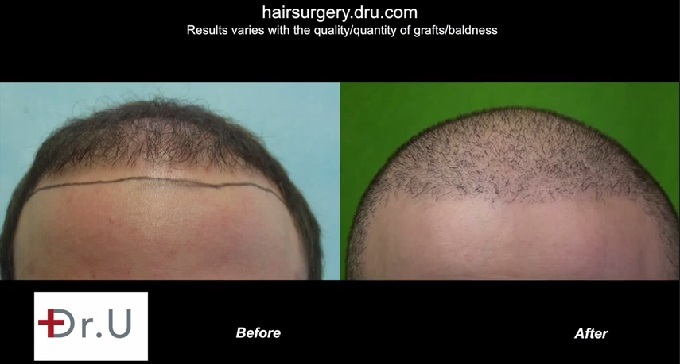 Many of the inserted grafts did not survive. 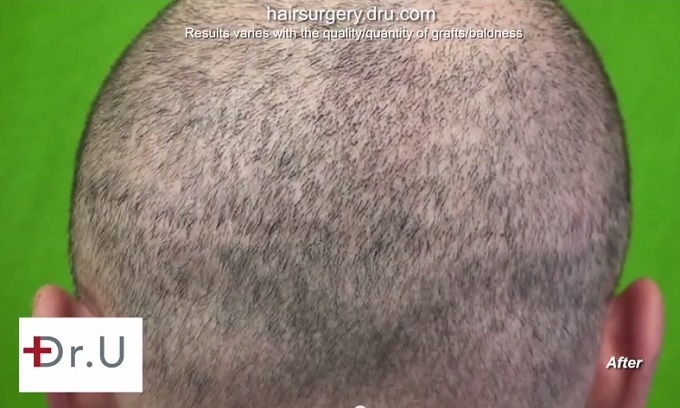 Thus the patient continued to have the appearance of hair loss in the crown, hairline and temples. Furthermore, he was plagued by the issue of having to keep his linear scar hidden. Dr. U realized the need that many patients (like the gentleman shown here) have for an expanded donor resource. 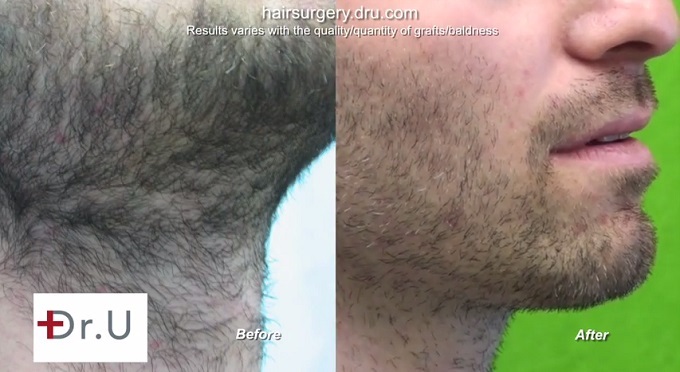 He designed his UGraft instrumentation with the ability to safely remove many types of non-head hair follicles, even those that grow at extremely sharp angles. Furthermore, UGraft was engineered with the consideration of improved wound healing results. 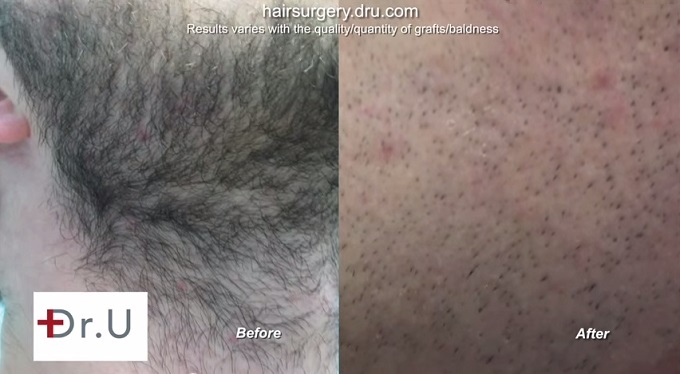 The removal of thousands of grafts from highly exposed body surfaces would seem concerning to many people due to the high potential for redness and scarring. However, UGraft creates specific inverted wound cavity shapes. This minimizes extraneous tissue on the skin’s surface and results in improved cosmetic wound healing outcomes without noticeable signs of surgery. 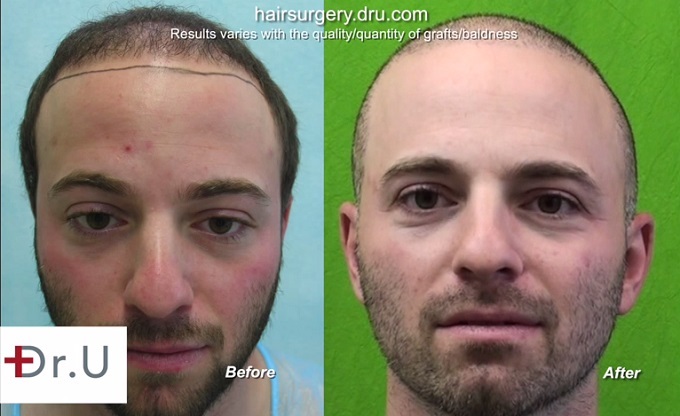 This patient continues to be very happy with his coverage, his hairline, temples and strip scar concealment. In fact, this year, he has decided to cut his hair in an even shorter buzz cut style due to how confident he now feels about the repair results of his linear scar. And despite the removal of 4500 beard hair grafts, he is able to wear a natural looking stubble. Dr. U was very strategic about selecting the right beard hairs to avoid the formation of obvious patches of missing hair. And here is the link to his new video.